Patriotism demands we all get excited about Lion and its Oscar chances. 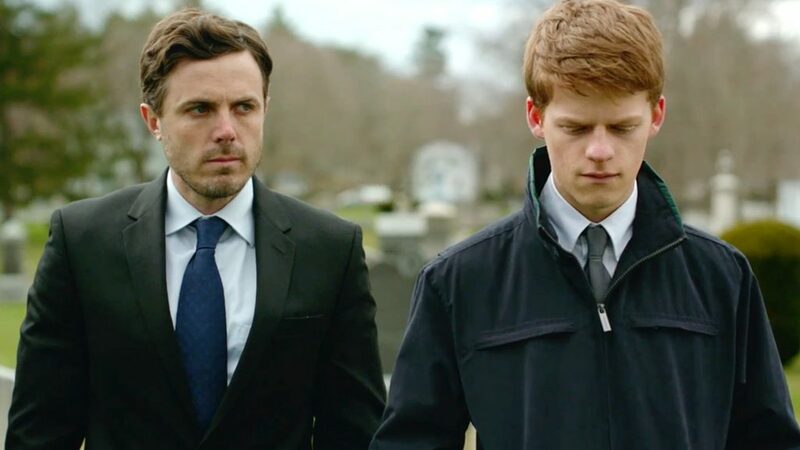 Political correctness requires us to be appalled that a notorious sexual harasser such as Casey Affleck, has received a Best Actor nomination for Manchester by the Sea. If only life were so simple. By any standard, Kenneth Lonergan’s Manchester by the Sea is a vastly superior production to Lion. As for Casey Affleck, regardless of his reputation, his performance in the lead role of Lee Chandler is a formidable achievement. Picasso had a dubious attitude towards women but no-one denies he was a great artist. Lion is a weepie that wants us to shed tears of pain and joy whenever it touches the appropriate button. Manchester by the Sea is a film about personal pain and trauma that never comes looking for sympathy. It isn’t until two-thirds of the way through the movie that we discover the reason Lee is such a brooding, disaffected personality. When the realisation arrives it’s devastating but weirdly muted. Affleck is as convincing in his grief as he is as a dull-witted, violent drunk. Lonergan has given us a story in which agony and comedy are closely allied. In his sullen, introverted way, Lee provides a mirror for the absurdities that crowd in from all sides. It begins from the moment we meet him, in his role as a janitor in a block of flats in Boston. Lee is indifferent to the flirtatiousness of one tenant and impatient with the bad manners of another. He goes to a bar, gets smashed, and picks a fight. There’s a monkey on his back, but at this point we can’t see it clearly. A phone call jolts Lee out of his routine and sends him speeding north to the town of Manchester by the Sea, where his elder brother, Joe (Kyle Chandler), has been rushed to hospital. He arrives too late. Joe’s weak heart has given out, and Lee is left to sort out the funeral arrangements. To his surprise he finds he has been assigned custody of Joe’s son, 16-year-old Patrick (Lucas Hedges), who is still finishing school. This is nothing short of traumatic for Lee, who would have to give up his job in Boston and return to the town where he grew up. It’s also the town he fled, for reasons that are gradually revealed through a series of encounters and flashbacks. The most difficult meeting of all is with his ex-wife, Randi (Michelle Williams), who is remarried and pregnant. Behind his blank expression Lee is churned up like a volcano, ready to explode in the nearest bar. Back in Manchester he feels that everyone is watching and talking about him. He’s lugging around the burden of his past and the weight is unbearable. While he grapples with his feelings Lee gets to know Patrick, and is disturbed by the rapidity with which he appears to be adjusting to his father’s death. Lee is also surprised by the scope of his nephew’s love life. Patrick has two girlfriends that he is trying to juggle, and expects his uncle to help him out. For Lee, who can barely imagine forming a new relationship with any woman, it’s dumbfounding and stressful. It’s also a source of dry humour, as are so many of the relationships Lonergan puts before us. Randi’s new husband is an appalling stodge, while Patrick’s estranged, alcoholic mother, Elise (Gretchen Mol) has found a new life with ultra-religious Jeffrey – played by Matthew Broderick with a simmering prissiness. All these characters are completely convincing, without a trace of stereotype. Perhaps what’s most impressive in this film are the tiny details and those silences that say more than words. In one of the most wrenching moments we find two men making a mess of lifting a gurney into the back of an ambulance, constantly catching a wheel on the door frame. It’s a piece of slapstick in the midst of high drama that brings us out of the realm of tragedy and back into the messiness of everyday life. When Lee runs into Randi in the street the conversation is so stilted it’s almost non-existent, but it makes a momentous impression. They both have something to say but neither can say it. Their exchange is urgent but impossible. As a writer, Lonergan has that ability one finds in masters such as Georges Simenon, who can reveal in one touch what lesser authors turn into lengthy expositions. We get just as much as we need, enough to create a constant sense of anticipation. The bleak, wintery atmosphere of a small New England town is a perfect correlative for the bleakness Lee carries around in his soul. His humdrum life as a janitor has been a penance for his sins and a way of keeping his mind focused on simple, practical problems. In a conventional melodrama Lee’s relationship with Patrick would bring him out of his shell, back into the stream of life and all would be well with the world. As the movie edges towards a conclusion one keeps wondering if Lonergan’s particular brand of realism allows any scope for the Hollywood ending.